This text below is the version currently (September 2018) posted on the Nepali Times website. It was originally uploaded and also published in the printed paper on 24/4/18 but later amended to make clear that I did not say the soldiers who mutinied at Kohat were directly responsible for the overthrow of the Ranas in 1951. The article is generally accurate but omits to mention that the earthquake project is entitled SWAY (`After the Earth's Violent Sway') and directed by Professor Michael Hutt and Dr. Stefanie Lotter of the School of Oriental and African Studies, London University. It also give details only of the original editions of Jang Bahadur in Europe (1983) and Nationalism and Ethnicity in a Hindu Kingdom (1997), which were later republished in 2016 and 2007 respectively. 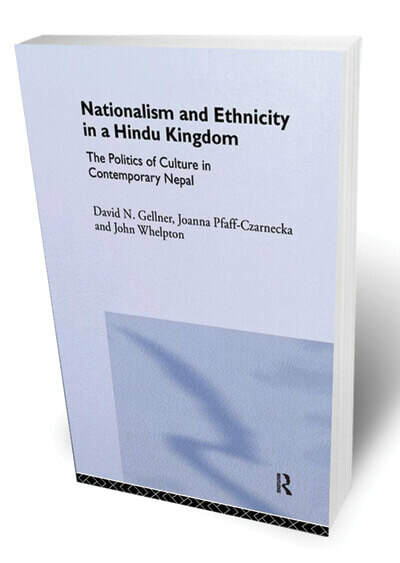 The second edition of Jang Bahadur in Europe (Kathmandu: Mandala Bookpoint) incorporates the essay by Moti Lal Singh, the Nepali crossing-sweeper Jang met in London, whilst the later version of the second book was re-titled Nationalism and Ethnicity in Nepal (Kathmandu: Vajra Books) and includes an additional introduction on more recent developments. Kings, Soldiers and Priests was published in New Delhi by Manohar in 1991. The book is now out of print but copies may be available from South Asia Books and a number of other sellers. Full details of all my publications are available here. In the latter half of the 19th century the proportion of Government of India records sent to London was reduced but the most important items continued until 1947 to go to the British government's India Office. The Kathmandu Residency's own records up to 1872 are also available in the India Office records now housed at the British Library. After the earthquake of 2015, many Nepalis recalled how well Rana Prime Minister Juddha Shumsher had handled relief and rehabilitation after the megaquake of 1934that leveled the capital and killed 10,000 people. Many felt that even though Juddha Shumsher was a dictator, he was better than most of Nepal’s later elected leaders in organising disaster relief. In the last three years, the Nepali social mediasphere has been replete with praise for the oligarch who nearly 81 years ago rushed back to Kathmandu immediately from his travels, refused foreign money for rebuilding, and waived loans for the reconstruction of homes. However, as British historian John Whelpton says, the truth is much more complicated. Juddha was keen to avoid economic help from the British, because the Viceroy Fund then was used to help India’s princely states, and Juddha did not want Nepal to be classified as one. Whelpton is working on a project with Martin Chautari and Social Science Baha and has come up with other interesting archival anecdotes about the 1934 earthquake: a surgeon from the British legation who treated the wounded wrote that the ‘inhabitants were behaving splendidly, there seemed to be no panic, the people … were settling down in family groups in those open spaces and preparing to pass the night as best as they could.’ In fact, that could also describe the reaction of survivors after the 2015 earthquake. The Nepalis seem to be as resilient as ever. The British Resident during the earthquake, Clendon Daukes, was confident homes would be rebuilt by the monsoon of the same year, but his successor, Frederick Bailey reported three years later in 1937 that ‘houses of the poor had been reconstructed hurriedly and were of poor quality…’. Again, something else that has not changed in 81 years. Most public buildings, however, had been reconstructed with local resources by 1938. 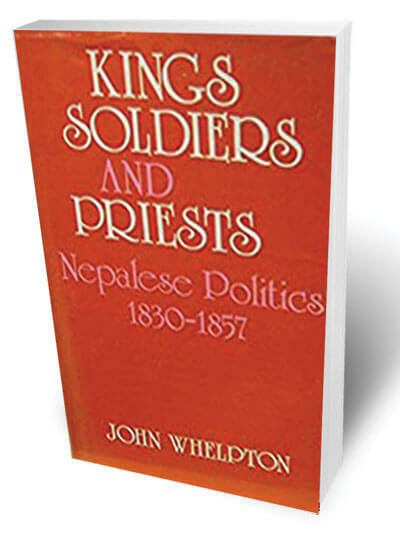 Kings, Soldiers, and Priests: Nepalese Politics 1830-1857, by John Whelpton. South Asia Books, Columbia, Missouri. 1992. 315 pages. Rs 3,355. 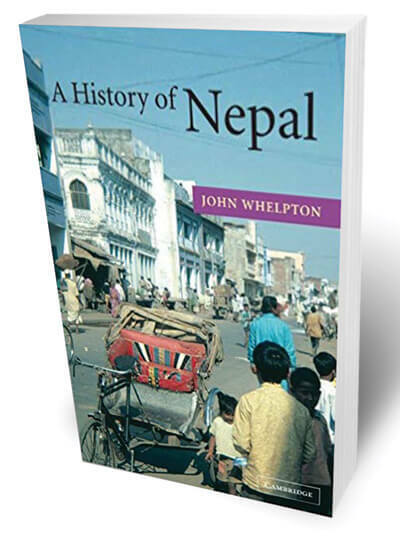 ​The earthquake project is part of Whelpton’s ongoing research into Nepali history. But his own personal history is as fascinating: an English teacher who became one of Nepal’s most dedicated historians. Whelpton signed up to be a VSO volunteer to teach English in South Asia, wanting to go to India but ended up by chance in Nepal in 1972. He took an 8-week course in Nepali, but realised it was of no use in Birganj where he was stationed — everyone spoke Hindi. He hiked to Jomsom and Pokhara, and once walked into the main courtyard of Pashupati by mistake, almost getting beaten up by a drunken English-speaking devotee before he was rescued and sent on his way by a policeman. By late 1970s, his Nepali was good enough to translate Jang Bahadur ko Belayat Yatra from Nepali into English. 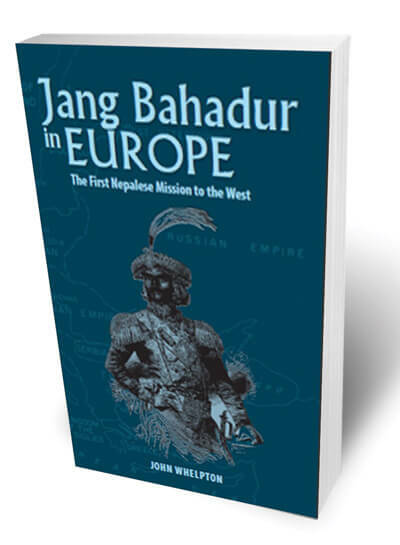 This first-time translation of the travelogue was published with commentary as Jang Bahadur in Europe: The First Nepalese Mission to the West. In its reprint it also contained a first-person account of the journey by Moti Lal Singh, who is considered the first Nepali to get to London and was befriended by Jung and employed as translator. 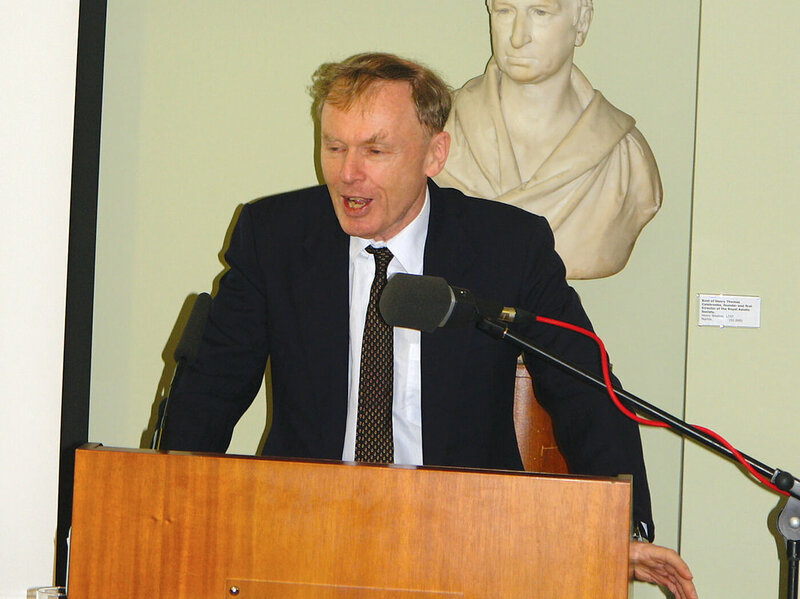 The text of his account, discovered by earlier historians, was republished in full in English for the first time in Whelpton’s book. Whelpton’s PhD led to another book on Jang Bahadur: Kings, Soldiers and Priests: Nepalese Politics and the Rise of Jang Bahadur Rana, which included previously unseen archival material. He then went back to his job as an English teacher in Hong Kong, and in his spare time wrote History of Nepal, and surveyed Christianity in Nepal. After 1870, the British government in India stopped sending records to London, so Whelpton is currently researching in the Foreign Ministry archives in Delhi. Nepal-related documents were classified under the ‘Political’ section meant for internal affairs, until Chandra Shumsher specifically asked that Nepal be put under the ‘Foreign’ department. Despite a shift in academia towards anthropological history of the people rather than a list of rulers, Whelpton calls himself “an old fashioned political historian”, and says Nepal’s politics has become much more complicated, which is why he wants to research it as a historian.